If you are like me and only know about little girls, you may need some ideas on what to buy a little boy for his birthday party. All these suggestions come for moms with little boys in the 2-4 years old age category who know a thing or two about little boys. 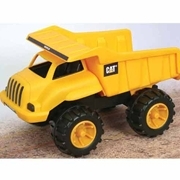 Staying with this theme, there is a lovely range of Caterpillar construction vehicles at Toys ‘R Us costing from R99 up. Some even have cool sound effects the boys will love! I think that every dad who has a little boy, can’t wait to buy his son his first train set – probably so that he can play it as well!! 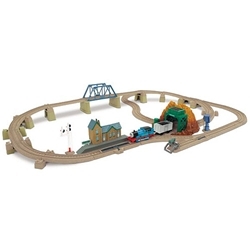 A really cute one available at Reggies and Toys ‘R Us is a Thomas the Tank Engine train set that costs R450. 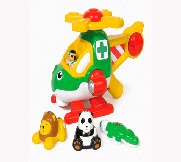 The most popular toy that has lasted generations has to be LEGO. This is probably my favourite toy as it opens the child up to lots of creativity and learning as well as fine motor development. Lego is very clever keeping up with the times and bring out ranges of popular kiddies movies or brands like Cars and Star Wars, etc. Lego can cost anything from R99 upwards depending on the complexity or brand it is associated with. We have found great deals on Lego at Makro so keep an eye out there for discounts from time to time. Little boys love to be on the move, preferably on something with wheels! There are lots of options of little bikes for boys and you will see many of those brightly coloured plastic ones lined up in your local Pick ‘n Pay supermarkets that cost around R160. A recent craze is a balance bike for toddlers that will teach them how to balance before they move on to a proper bicycle with pedals. There are a few brands associated with these: JD Bug bikes are available at Makro for R600 and Easirider bikes from www.easirider.co.za for R590. 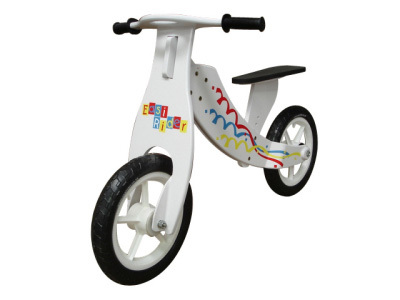 I did however spot a similar looking bike at Kids Emporium costing around R320 but not sure on the make. Another great idea that is good for development, hand/eye co-ordination and fine motor skills is a magnetic fishing set. Little tots will love it and will allow them to concentrate. I have seen a lovely one by Pegasus Toys and stocked at Kidz Appeal in Plumstead for R45. 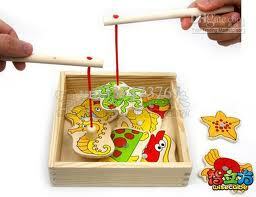 Also we have seen a cute wooden puzzle version with fishing rod at the Two Oceans Aquarium for about R70. To go with their toys with wheels, I have seen many types of playmats that depict different scenes, like that of a town with roads, or a farm with farm roads. Boys will love to ride their toy cars or tractors in these miniature towns/farms and set up the farmyard, etc. I saw a proper carpet mat at Toys ‘R Us for R130 and from Crazy store a plastic farm mat for R30. Toy Kingdom at the Waterfront has good options of farm animals if you want to recreate a farm scene.